A few top venture firms are seeing big returns on their investments, but most of the industry is struggling to beat mutual funds. Meanwhile, angel dollars are still flowing at the seed stage and alternative forms of financing are emerging. How should startups think about raising money these days? Who should they raise it from, and when? At Disrupt NY 2013 I’ll be asking those questions and more from a panel of investors who are not only in the midst of these changes, but pushing the changes. 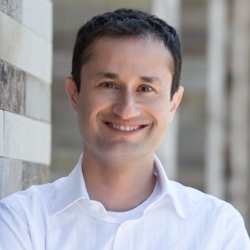 Aaref Hilaly recently became a partner at Sequoia Capital after leading two companies to big exits in the last decade. Mike Abbott has built his own companies and led key engineering initiatives for Microsoft, Palm and most recently Twitter, before joining Kleiner Perkins a couple of years ago. As new additions to storied Silicon Valley firms, they’ll have fresh perspectives on how VCs are thinking about venture funding. Meanwhile, serial entrepreneur Naval Ravikant has changed how new companies get backers through AngelList. It allows any new company to post extensive information about their products and metrics, and receive funding from a wide network of experienced and accredited investors — to the degree that some of them don’t even need to seek early-stage venture money. Finally, David Tisch has been funding and mentoring this generation of startups in New York, first as the co-founder of TechStars NYC, and now as the founder of seed-stage firm Box Group. The other panelists are coming over with their Silicon Valley perspectives, he’ll be helping us understand what is happening in our host city today. Aaref works with enterprise, Internet, and mobile companies. Prior to joining Sequoia Capital in 2012, he was the CEO of Clearwell, a leading provider of analytics software for electronic discovery. Aaref grew Clearwell from a handful of engineers into a profitable company with an annual revenue run-rate of over $100 million, leading to its acquisition by Symantec in 2011. Prior to that, Aaref was the Founder and CEO of CenterRun, a pioneer in datacenter automation, which was acquired by Sun Microsystems. Aaref holds an MBA from Harvard Business School, a Master’s degree in Economics from McGill University, and BA degree from Oxford University. David is the Founder and Managing Partner of BoxGroup, a New York City boutique seed-stage capital firm. 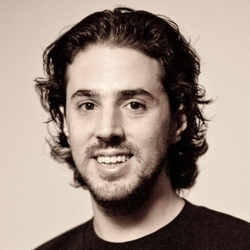 David is also the co-founder of TechStars NYC and previously served as Managing Director of the program. David was named to NYC Mayor Michael Bloomberg’s Advisory Council on Technology and serves on the Investor Board of Venture for America. He is also a regular contributor to the Wall Street Journal’s ‘The Accelerators’ online blog. Prior to joining TechStars, David served as Executive Vice President of Interactive Strategies at kgb, a global information services company. While at kgb, David founded and led Knowmore.com, a social aggregation startup within kgb. David has a B.A. in American History from the University of Pennsylvania and a J.D. from New York University School of Law. An engineering leader, entrepreneur and investor, Mike led the building of innovative, high-performance applications and services at Twitter, Palm and Microsoft before he joined KPCB. Mike is also an expert in “big data” businesses, having founded Composite Software. Formerly the vice president of engineering at Twitter, Mike led the team to rebuild and solidify Twitter’s infrastructure, growing the engineering team from 80 to more than 350 engineers in less than a year and a half, and scaling Twitter’s architecture to support 250 million daily tweets. Before joining Twitter, Mike led the software development team at Palm that created HP/Palm’s next-generation webOS platform. Earlier in his career, Mike was the general manager at Microsoft for .NET online services, which became Azure. He was also co-founder of Passenger Inc. Mike has advised and invested in numerous software companies throughout his career, including Cloudera, Hearsay Labs, Jawbone and Saynow. 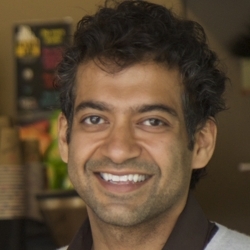 Naval is an entrepreneur and angel investor, a co-author of Venture Hacks, and a co-maintainer of AngelList. Previously, he was a co-founder at Genoa Corp (acquired by Finisar), Epinions.com (IPO via Shopping.com), and Vast.com (large white-label classifieds marketplace). He has advised Bix.com, iPivot, and XFire, among others, and invested in many companies, including Twitter, Foursquare, DocVerse (sold to Google), Mixer Labs (sold to Twitter), Jambool (Social Gold), SnapLogic, PlanCast, Stack Overflow, Heyzap, and Disqus.